Today’s coffee market is bigger and more versatile than ever before, and this is a great thing for most coffee drinkers. A side effect of this vast offer is that you cannot just go out and buy coffee, but you have to know which “category” you’re looking for. In case you haven’t known, not everyone can tolerate all types of beans and some people experience heartburn or stomach aches after taking a few sips of the morning brew. 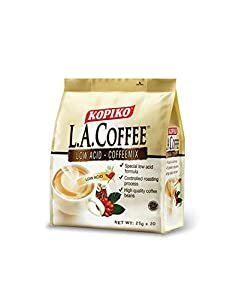 This article is for them because, in it, I will be reviewing the best low acid coffee brands along with everything you need to know about acidity and this drink. If you are tired of stomach pains but don’t want to give up coffee, please, read on! The terms acid and acidity are often confused to be the same thing. However, they’re not, and in this section, I’ll try to shed some light on the issue. Coffee naturally contains various acids, and the exact number is somewhere around 30 different types. Its acid content can be determined via the pH scale. If you haven’t paid attention in chemistry class, the scale goes from 0 to 14, with 7 being neutral and everything less than that falls into the acid category. Most coffees usually rank somewhere around 4-5 on the pH scale, and the term “acid” refers to the levels of acid in the drink. The word “acidity,” however, is used to describe the flavor of the coffee and NOT its acid content. Confusing, right? To give you an example, beans are grown in high altitudes are often considered acidic due to their bright flavor notes. Also, dark roasts are usually less acidic regarding taste but, depending on the type of beans, they can actually be high in acid which can cause problems for some drinkers. The bottom line is that one should not automatically avoid all beans that have the word “acidity” printed on the package. Instead, learn the difference between the high and low acid beans. Now that we’ve learned what constitutes good low acid coffee let’s take a look at the most popular brands on the market today. Cafe Don Pablo produces some of the best coffee beans in the world many of which happen to have low acid naturally. All of their beans come from South America and the ones I’m reviewing today are from Honduras. Subtle Earth is a medium-dark roast which has a chocolaty flavor. The beans are grown in the mountains and conditioned by the soil, air, and overall climate. 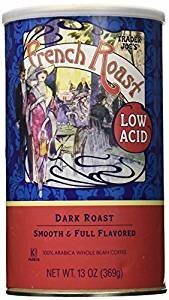 It is low in acid, so the ordinarily fruity and bright notes expected of a medium roast are toned down to a mild flavor. Some would say that the crispiness of higher acid coffees is replaced with a soft and balanced aroma. The preferable brewing methods for this brand include traditional drip machine, espresso, French press, and hand drip, so you can pick according to your liking. Don Pablo uses 100% Arabica, organic, shade grown beans so you can rest assured that the quality is there. Their plants are non-GMO and are certified by the CCOF Trade Association. 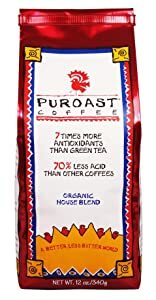 Puroast is one of the most exciting brands I’ve encountered so far. It is an excellent choice for those with a low tolerance for acids, and that’s why it made the list. Let’s break it down a bit. With the pH level of just 5.8, I would argue that Puroast has about half the acidity than other coffee brands. The company claims that this acid reduction is as much as 70%, which is even better than I initially thought. How do they do this? The roasters employ a method used by traditional Venezuelan coffee roasters - slow-roasting the beans over a wood fire. In this way, the beans acid and oil levels are greatly reduced, and they get roasted very thoroughly. However, an undesired side-effect of this process is that the flavor of the beans might turn out bland, bitter, or burnt which is not ideal for many drinkers. Another upside of Puroast is the large amount of antioxidants it has, around 7 times more than green tea, according to the company. As you probably know, antioxidants have many beneficial effects on the body, so you can feel extra good about drinking this coffee. Some additional “health” labels of this brand include - organic, kosher, gluten-free and calorie-free. Those who experience acid reflux or heartburn often will undoubtedly want to try this brand. If you are a fan of lighter roasts but have a preference for low acid beans, look no further than Java Planet. As I’m sure you know, most low acid options are dark roasts which aren’t ideal for everyone as these beans tend to taste bitter or burnt. This is not the case with Java Planet’s Guatemala beans as they are medium roasted and produce a creamy bodied brew with notes of fruit, chocolate, and caramel. The potential problem in lighter, low acid roasts is that some of the flavor has to be sacrificed with the acid content reduction. A great thing that Java Planet does is including the roasting date on the package. Now, their customers can now just how fresh the beans are, which is of great importance as I’ve previously mentioned. The beans are grown in Guatemala and are 100% Arabica. They are organic which means that no pesticides were involved in the growing process. The coffee is sold in 1lb and 2lb bags, but you can only buy whole beans. There is no pre-ground available which is very inconvenient for people who do not own a grinder. All in all, the beans are produced by a family-owned company, are USDA and Fair Trade USA approved, so all you have to worry about is whether they feel good in your stomach. This is a medium-roast coffee that is known for its impressive smoothness. Plus, it is also easy on the stomach, unlike others that can be too acidic for some drinkers. 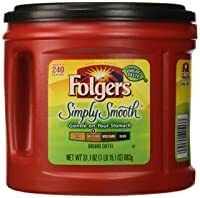 As it is made by Folger’s, you can have the assurance that it is carefully-crafted using beans that have been sourced only from the best farms. The company has also made a name for its sustainability efforts, allowing you to be contributory in doing something good for the society while promoting the welfare of local communities. The coffee is packaged in a container that comes with inter-locking Aroma Seal, a special feature that makes the canister airtight to help retain the freshness of the ground coffee. One of the best things about this coffee is the fact that it has been through a procedure known as Techno Roasting, which has been approved by the FDA. Basically, the latter allows the beans to have reduced levels of acids that can cause heartburns. While the excessive acidity is removed in the beans during the roasting process, the vitamins, nutrients, and essential oils are not stripped. The special roasting process also minimizes the bitterness of the coffee. Since this is a dark roast coffee, it has a rich flavor, which is smoky and bitter. Also, more than the robust flavor, the roasting process also causes the beans to lose acidity, so there is no need to worry that it will upset your stomach. One thing that you will love in this coffee is the addition of matcha, making it different from the others that are mentioned in this guide. This will give an additional energy boost while also allowing you to benefit from added antioxidants. Another important ingredient in this coffee is rooibos red tea, which will make the drink gentle on your stomach. Lastly, this low acid coffee also has goji berry, which is known for fighting inflammation. If you want to be different from all others, this is the right coffee for you. This Costa Rican coffee is known for its delicate flavors and complex aromatics, which is hard to match. It has flavors of cocoa, molasses, and lavender. It is not only the flavor that makes Geisha coffee different. The beans are slender and long. Best of all, they are resistant to a number of diseases. Lastly, this is also a perfect choice for those who would like to have lesser caffeine intake. This is because it contains 30% lesser caffeine compared to regular coffee. This is another coffee with an exclusive formula that allows the acid to be significantly minimized. The latter is made possible by undergoing a controlled roasting process. Despite this, the flavor and aroma are not ruined in any way. At first sip of this coffee, you will notice that the flavor is not as strong as what you would normally expect from your caffeine fix. Nonetheless, this should not be much of an issue as it remains tasty despite the fact that it is gastric-friendly. 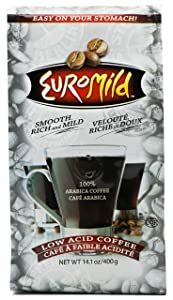 With a medium-dark roast, this low acid ground coffee is perfect for those who are looking for a balanced flavor – not too light and not too strong. It is smooth, earthy, and sweet with just the right hint of spice. 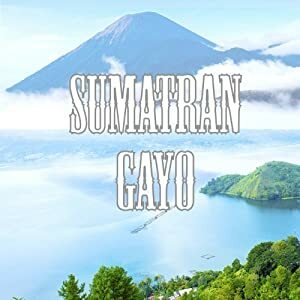 Indonesian coffee is known for their rich body and full flavor. They are also earthy and have low acidity, which is exactly the reason why this is another product that makes it to our list. This coffee is smooth, sweet, and clean. It has been medium roasted, allowing it to have an impressive taste that is easy to differentiate from its inferior counterparts. As for the flavor notes, the company indicates that it will be reminiscent of caramel, cacao, and peach, making it truly unique. Lastly, with the satisfaction guarantee that is offered by the manufacturer, your money is sure to not go into waste. If you are on the lookout for a healthier alternative to your favorite coffee, this one should be on your radar. Through the special roasting process, 99.5% of the acids are removed, so you can be sure your stomach won’t end up being upset! It also does not contain irritants and chemicals! As for the flavor, it is made of 100% Colombian coffee. It is from one of the best coffee growing regions in the world, so the flavor is guaranteed to be hard to match. It has a full-body in every cup. The artistic packaging of this low acid coffee is the first thing that will captivate your attention. Beyond this, you can expect that the flavor and aroma will be exceptional, making it a great pick even for coffee connoisseurs. 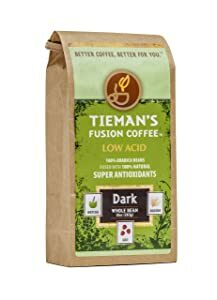 Trader Joe’s has a regular version of their French Roast, but this product has been specifically developed for those who are looking for a low acid alternative. It is smooth and fruity. Also, in the case of some dark roasts, the caramel notes are highly evident. The latter is subtle with this coffee, yet it is still tasty. Nice Coffee – that is the tagline of Simpatico, which speaks exactly of what you can expect from this product. The freshness of the coffee is one of its best assets. This can be attributed to the fact that they are roasted daily and in small batches. If you are sensitive to caffeine, you will also love this coffee. It is not only going to prevent an upset stomach, but it also prevents palpitations, among other side effects of caffeine. The latter is removed through a wet process, which uses the power of water. If there is one thing that separates it from the other coffees that are mentioned in this short guide, it would be the fact that it is made for moms, by moms. 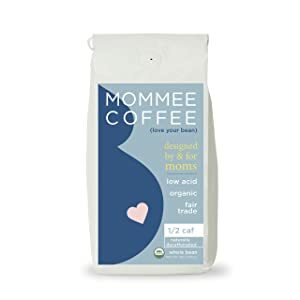 It is a guilt-free coffee for pregnant women. No need to worry about the negative effects of coffee on your baby! The coffee is made of organic ingredients and has been water processed to significantly reduce the level of caffeine. There are no toxic chemicals that are used in the production of the coffee. 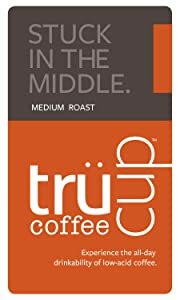 As for the taste, it is sweet and smooth with a well-balanced flavor, which is exactly what you can expect from a medium-dark roast. 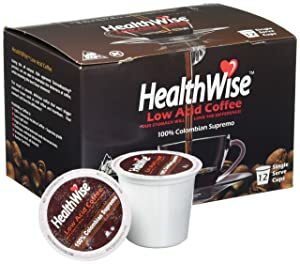 This is the second product from Healthwise that is mentioned in this post. The difference from the other one is that this is for a K-cup. You can be assured of the same consistent flavor every time you make your caffeine fix. It is an exclusive roast that uses only the finest Colombian Supremo Arabica beans. One of the best things about the production of this coffee is how it went through an innovative process that is known as Techno Roasting. Basically, what this means is that the vitamins, minerals, and antioxidants are retained while removing the acidity. This is an acid-neutralized coffee, making it another perfect option if you would like to enjoy a quick caffeine fix without suffering from an upset stomach. The acid is reduced with the use of potassium hydroxide. Compared to other options for a traditional instant coffee, the acid is reduced by as much as 50%. To achieve the impressive and well-balanced flavor in every cup, this coffee uses only the best handpicked beans from Ecuador. Wake up to great mornings and be perked up any time of the day with this caffeine fix, which has reduced acid. It is a full-bodied coffee without overwhelming bitterness. This coffee will be reminiscent of vanilla and cinnamon. It has a comforting flavor and aroma, which is sure to make you crave for more. To add, the Gourmet Blend also has praline and caramel flavors. The smell, on the other hand, will remind you of brown sugar and dry toasted pecans. All-day drinkability is one of the best things about this product, which is because of its low acidity. You can enjoy it as you please without thinking that you will suffer from the common side effects of acidity in coffee. To remove the acid in the coffee, water and steam are used in a patented process. While the acid is removed, the vitamins and the oils are retained, making sure that it will still have a rich flavor. As a medium roast, the coffee is moderate and mellow. It is not overpowering, yet in every sip, it will have an exceptional taste and flavor. 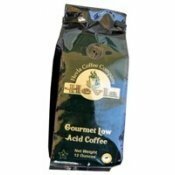 High acid coffee is harder on the body, regardless of whether you have any pre-existing health problems. In the case of the latter, you should drink low-acid brands exclusively, especially if you’re struggling with stomach related conditions. Here’s what you should know about the benefits of low acid coffee. This fact is crucial for folks suffering from ulcers, GERD, gastritis, and so on. The low acid content will not irritate your bowel nor will it damage the stomach lining. 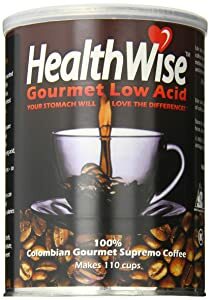 Those prone to heartburn or irritable bowel syndrome will probably not experience any troubles as when drinking higher acid coffee. You might not have known, but any acid is horrible for your teeth, and coffee acid is no exception. What it does is strip away the protective enamel from the outer layers of the teeth and promotes the formation of cavities over more extended periods of time. Low acid beans will not solve this problem, but they can mitigate the effects. Still, brushing your teeth after having a cup is the best thing you can do. People who are afflicted with the conditions mentioned above often find their guts inflamed, especially if they do not follow the dietary guidelines for those specific health problems. High acid coffee will only worsen this as it will usually contribute to inflammation even more. Such people will probably tolerate low acid brands so they will be able to enjoy their favorite morning brew without any aches in spite of their conditions. There are two kinds of low acid beans: treated and inadvertent. Treated low acid coffee refers to beans that have been subject to special processes in order to reduce its acid levels. Slow of interrupted roasting will produce this effect, as well as steaming the beans to remove the outer layers before sending them off to a roaster. Inadvertent coffee is naturally low in acid. This is due to the type of soil, climate, and altitude (low elevation) the beans are grown in. Generally, coffee that comes from Mexico, Sumatra, Guatemala, and Peru falls in this category, so try to find brands of this origin. Another critical factor is the freshness of the coffee. The longer coffee sits, the higher the acid levels get so you should always aim to drink it as fresh as possible. A good idea would be to buy smaller quantities so that you can consume them in a short time and they won’t get to sit around for too long. Always go for 100% Arabica! Arabica beans contain much less acid (and more flavor) than the Robusta variety, and the main reason the two are blended together is to increase the caffeine content of the brew. In this case, blends are not what you need, so make sure that you are drinking Arabica only. Dark roasting is one other way of affecting acid levels in beans. During the roasting process, a compound named N-methylpyridinium is released, and it inhibits acid secretions in the stomach, thus benefiting the drinker. To sum up, a single origin, Guatemalan, 100% Arabica, dark roasted beans should provide you with a low acid brew. Now that you’ve bought the beans, is there anything you can do to decrease their acid levels even further? The answer is yes, and now I’m going to explain what. Cold brewing is the most effective way of producing a low acid cup of pure coffee. 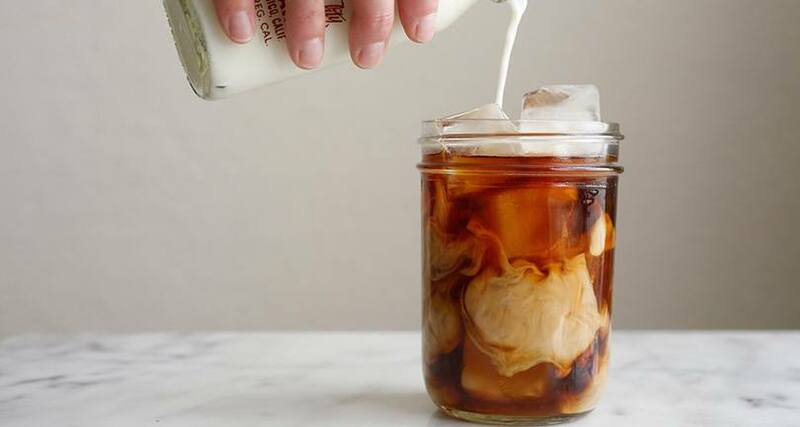 To be precise, some sources claim that a cold brew contains around 70% less acid than a hot brewed cup. If you’ve never prepared coffee by using this method, here’s a neat little guide on how to do it. Hot coffee lovers can also enjoy their favorite beverage with decreased acid content. Your best bet is the French press method with coarsely ground beans. The reason for the latter is that it will secrete fewer acids into the brew. 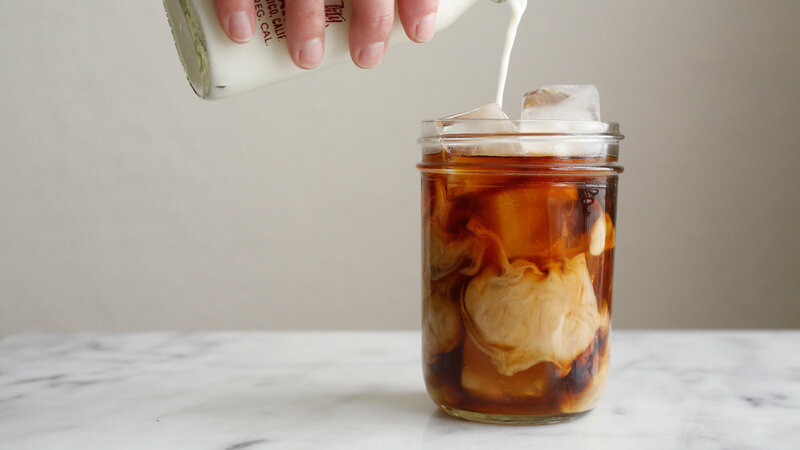 Adding milk or cream to your coffee is a great idea too because calcium that’s naturally found in these foods has strong anti-acid properties. If you prefer your coffee black, you can add powdered calcium to the beverage too. Here is one peculiar method which can help you achieve lower acidity - boiling coffee with eggshells. Regardless of how crazy it sounds, it works, and it is quite simple to do. Throw in some coffee and clean, crushed eggshells in cold water, bring to a boil, and let it simmer for 5 minutes. After that, strain the mixture and voila! 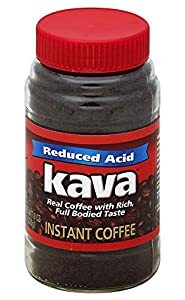 Forget sugar, if you want low acid coffee, try putting salt in it. No, I’m not joking, as salt can neutralize some of the acids that you want to get rid of. Here’s how to do it: add about 1/16 or 1/8 of a teaspoon to a brewed cup of coffee or to the grounds before brewing. This should be enough to do the job without making your drink taste salty. It is said that this method works best with dark roasts. As we approach the closing chapter of this article, I would like to leave you with a few final words. But first, let’s announce the winner of the roundup. 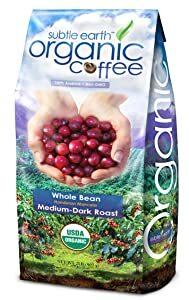 My personal choice for the best low acid coffee has to be the Java Planet Guatemala Organic Coffee. Yes, it is good, and yes, you should try it, no matter if you react poorly to acid or not! 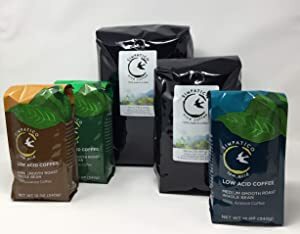 The reasons why I feel this way about Java Planet’s beans are the following - outstanding flavor for a low acid coffee, fair price, and it is grown in an environmentally friendly manner. What’s not to like? I am more than sure that most coffee enthusiasts will enjoy a cup of this one. If you agree with me, please let me know in the comments. If not, I would be more than happy to hear your opinion too!